There are millions of people who come in search of the American Dream, and of those, some recognize that the key to achieving it is hard work. With $1 in her pocket, and a dream, 19 year old Ewa Zabatani traveled from Poland to America. A dream can carry you across oceans, and it can serve as a compass to guide you through your life, to the place you want to be, and Ewa had that. She had a dream to create a family and a business. She says: ”I always wanted to work and find my own way.” And she did. In a real demonstration of spirit, with no English, she set her sights on working in a really nice restaurant and jazz club in New York, and with fierce determination she made it happen. It was a cool place frequented by such luminaries as Bruce Willis and Madonna, she learned English with the occasional help of her manager. She worked nights and miraculously managed to also have a career of a few years modeling with a top modelling agency which was accompanied by some great things, such as being in some music videos by top musicians, in magazines and TV commercials, and getting some small parts in movies. In 2000, Ewa’s American Dream led her to Clearwater, where after a period working in the restaurant industry she became a dental assistant, and got herself a 2 year diploma as a dental technician. Always working hard to attain that dream - there was a period she was designing and selling flowers, waitressing, working in dentistry, and taking care of her children. 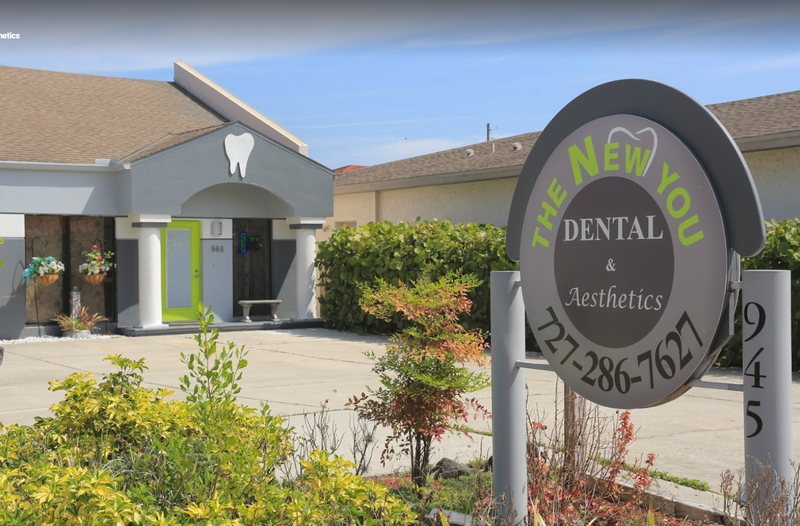 While gaining more and more experience in the business of dentistry she bought and sold a restaurant, and as a result, in 2017 was able to open her next business, The New You Dental and Aesthetics ( one of the first dental spas - a new and innovative concept developed by Ewa herself). She did this with her two partners, Dr Barna and Mr Kerns, who believed in her vision, and fully supported the realization of the dream. As Ewa has built up her practice, she has also assembled around her a great team. She says: “I believe to have true success you have to have a great team & teamwork.” She believes that “Patients can be happy if the team is good,” and it is evident in the growth of her practice that she has both a great team, and happy patients. Her hard work and these other ingredients are creating the success and making that American Dream a reality. Dr Carina Catipovic, the general dentist at The New You, originally from Buffalo, New York, brings a lot to the team. She is a talented and detail oriented dentist, who is very professional, delivers high quality treatment, and embodies all the values of The New You Dental. Liz, The New You's dental hygienist, has over 25 years of experience. She loves her work, and is a vital member of the team, who loves the mission of The New You Dental And Aesthetics dental spa. As well as offering excellent dentistry, The New You Dentistry provides Botox and facial fillers to rejuvenate your face as the “framework” for your smile, among other services. The New You Dental works hard to ensure satisfaction, and offers a 5 year warranty on everything. Ewa takes great care of her patients, and makes sure they are happy from the moment they step through the door to the moment they leave. If you or anyone in your business is looking for a great dental experience, you can call Ewa at any time and arrange to visit the spa. Please check out their website here.